Coloured rendering is the common name given to render that is coloured. Coloured render is an acrylic render that is more durable and gives off a more natural aesthetic look than painted finishes. Should I use coloured render? Colour rendering usually comes with a manufacturer warranty making it longer lasting. What colour render brand should I use? There are many colour acrylic render suppliers so it is not often clear on what brand a customer should select. It is best to discuss your options with your rendering company who will be able to guide you and explain to you which brand they are using for your project and why. One of the most appealing features of coloured render finishes are the different textures and finishes that can be achieved. 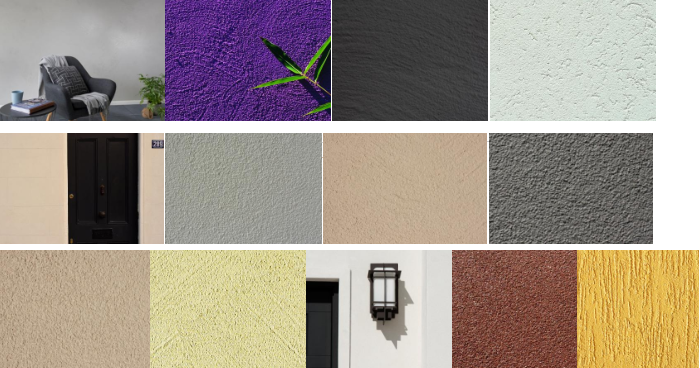 With so many brands and so many products there are many options when deciding on your textured finish. Coloured rendering comes in all different brands and types making it important an experienced renderer takes ownership of your project, in order for the job to be completed seamlessly.